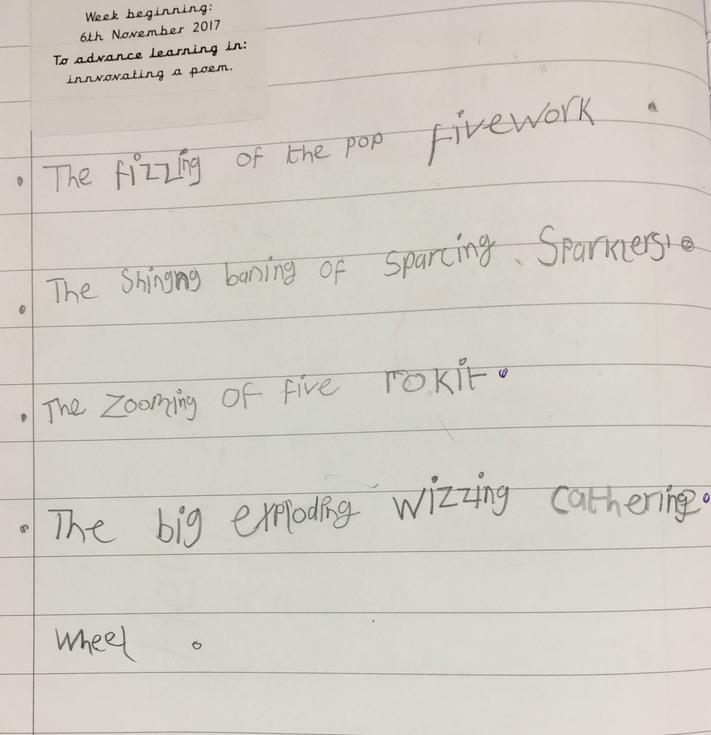 We were sparkling with delight following Bonfire night and came in to school full of wow words and exciting descriptions of the sights we had seen. We chose to recreate our experiences using PurpleMash, creating firework images. 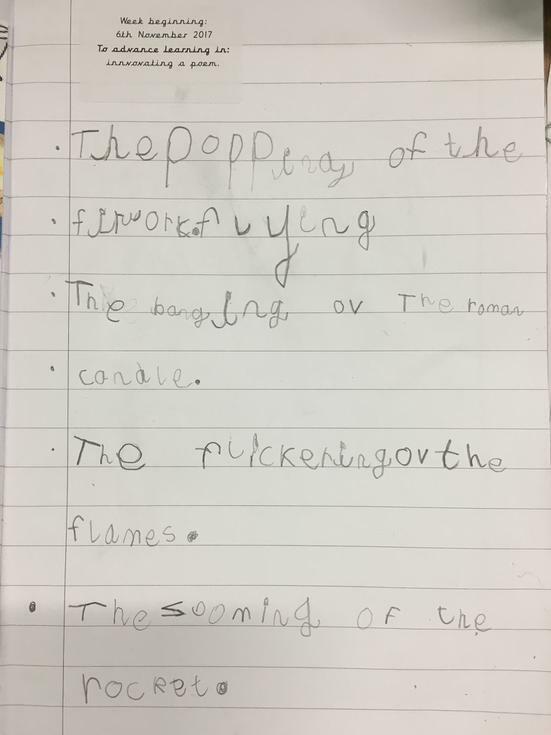 Following our images we decided to draw on the language we had been using when describing what we had seen on bonfire night. 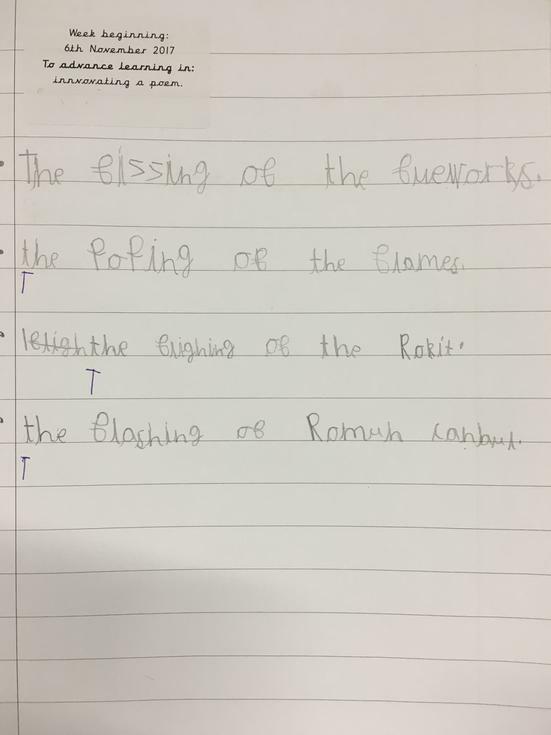 We had been examining the language patterns of the poem “The Sound Collector” by Roger McGough and decided we could use what we had learned to develop our own poems in this style. 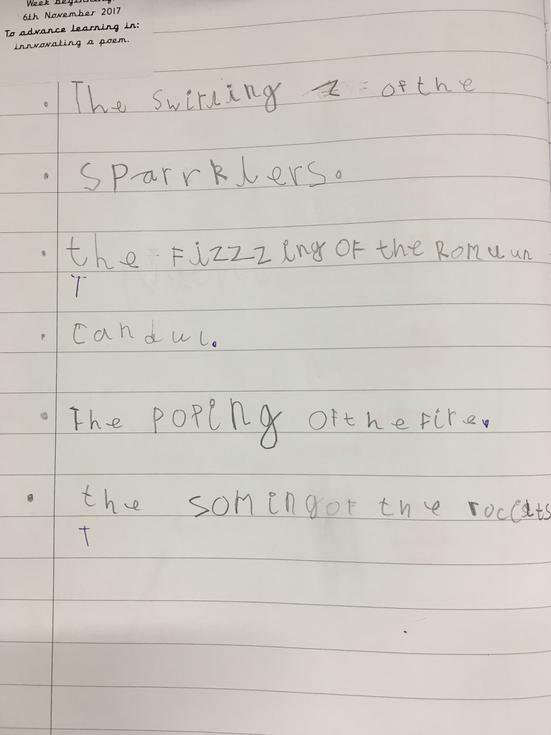 We each wrote a verse and collated them to create a class poem entitled “The Firework Sight Collector”.